A fluted round brilliant cut diamond solitaire engagement ring, with high setting, in a part bezel tension style setting. Expertly chosen Round Brilliant cut Diamond of your choice is held within a high; part tension and partial rub over setting. A fluted design sits proudly above the slightly tapering daylight shoulders and a court profile band. The openness of the setting allows the light to flood through the Diamond giving you the hypnotic sparkle that a Round Brilliant cut Diamond can produce. Many Diamond options are available from 0.25cts to 1.00ct with a large range of colour and clarities. 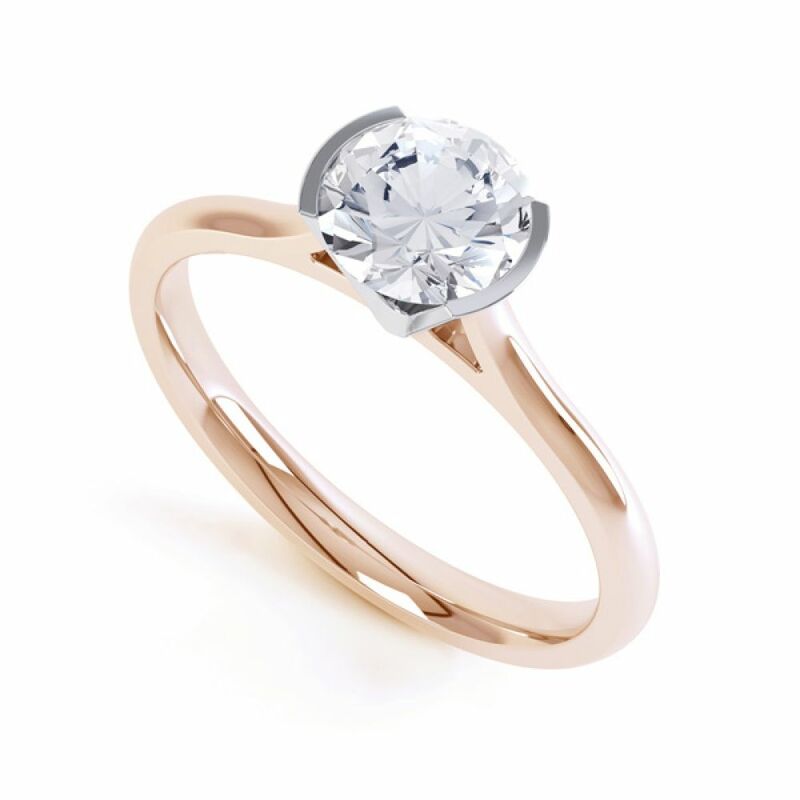 For your perfect Engagement Ring choose from 18ct White Gold, 18ct Yellow Gold with a White Gold setting, 18ct Rose Gold with a White Gold setting, 950 Platinum or 950 Palladium and we can delivery beautifully packaged to your door within 3-4 weeks. 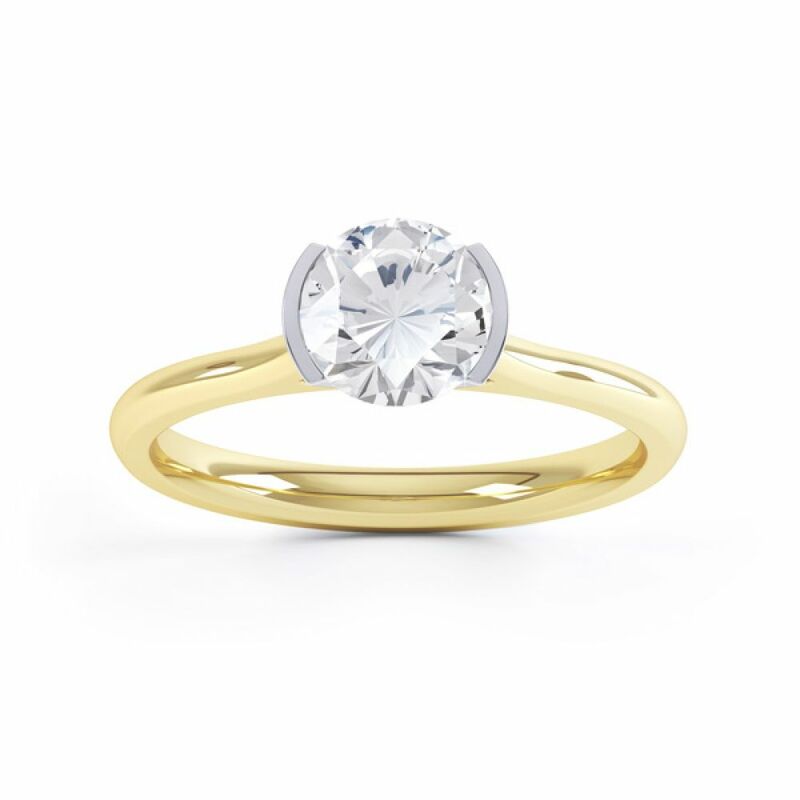 Also available in our ethically sources Fairtrade Gold. Clients within the USA can now order commissions created in Fairtrade Gold. Offered in both white and yellow 18ct variations, this 100% ethical, traceable precious metal adds even greater value to any purchase. We are one of the only jewellers currently charging no additional cost for this ethical option. Artisanal miners in some of the world's poorest countries receive a fair price for their gold, and this basically means a better future. 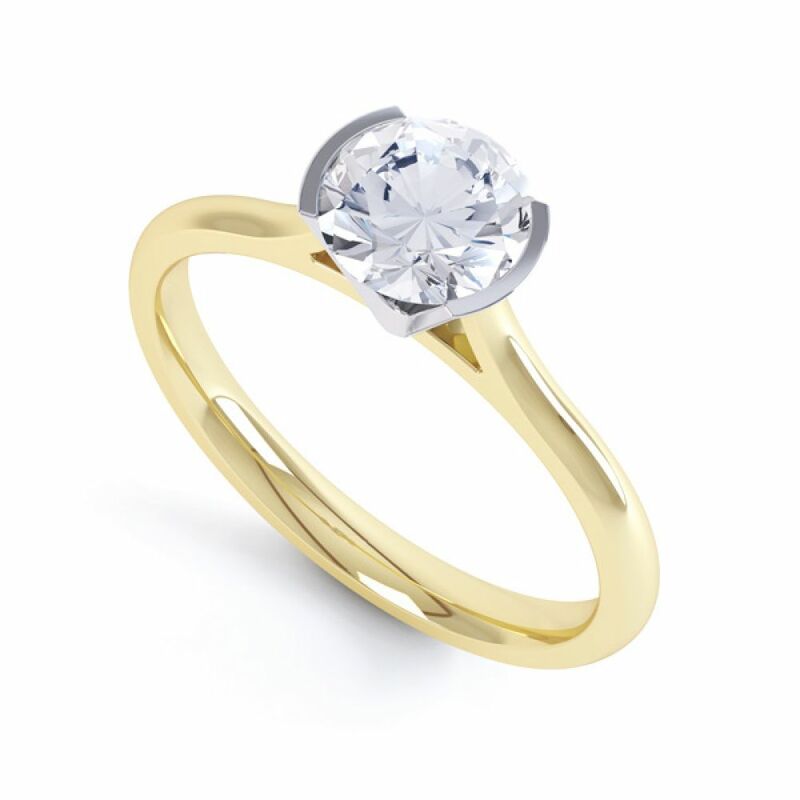 Most of our jewellery can be created in Fairtrade Gold available shipped directly to the USA. With every certified diamond from Serendipity, we assure all clients of reputable diamond grading. We work with the most trusted laboratories including the Gemological Institute of America (GIA) and International Gemological Institute (IGI). 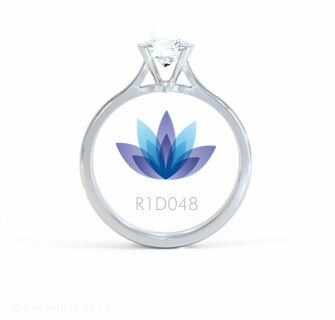 All diamonds meet strict standards with no more than nil or slight fluorescence for your total reassurance. Sizing made easier - Free sizer for US clients? We will gladly send you out a free sizing tool with UK sizes listed. Alternatively see a handy ﻿reference for UK-US sizes﻿ and don't forget that if you want to contact us ahead of placing your order, we can create an order for you with the US finger size instead. Whatever works best for you! We love questions and we're happy to help. 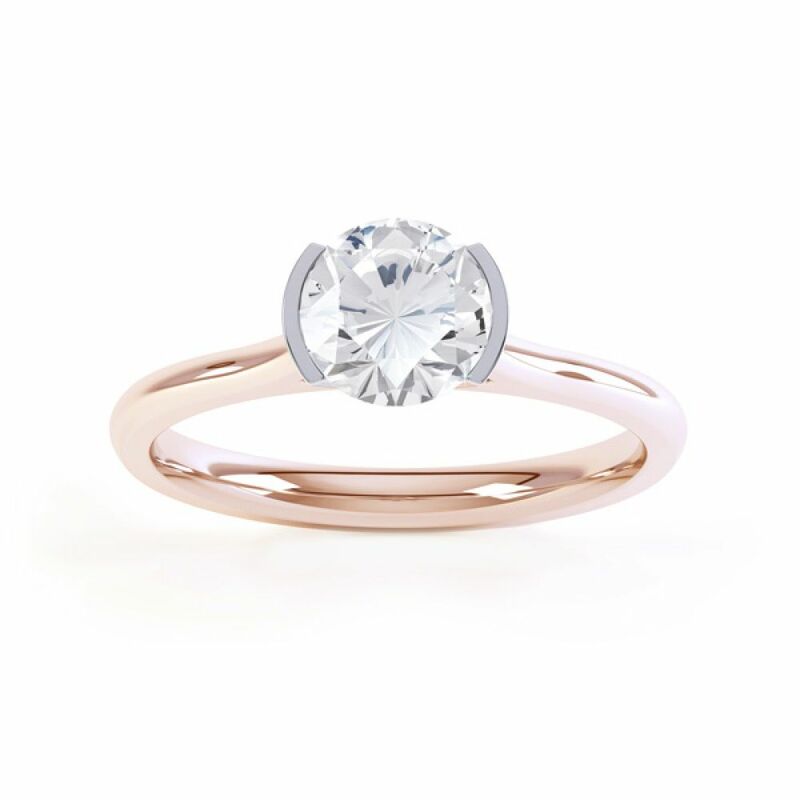 Whether you need specific ring details or general advice on custom-made rings, diamond color or clarity or customization. We offer expert guidance and advice on all aspects of your engagement ring with impartial no-obligation help. When we send your parcel to USA, we securely wrap the secure outer box in a plain white outer wrapping. Inside you will discover a solid outer box containing a presentation box with engagement ring with an additional pocked ring box. All documents including certification are enclosed within the additional document wallet located in the separate section of the main box. We pride ourselves on luxurious packaging as part of your experience. 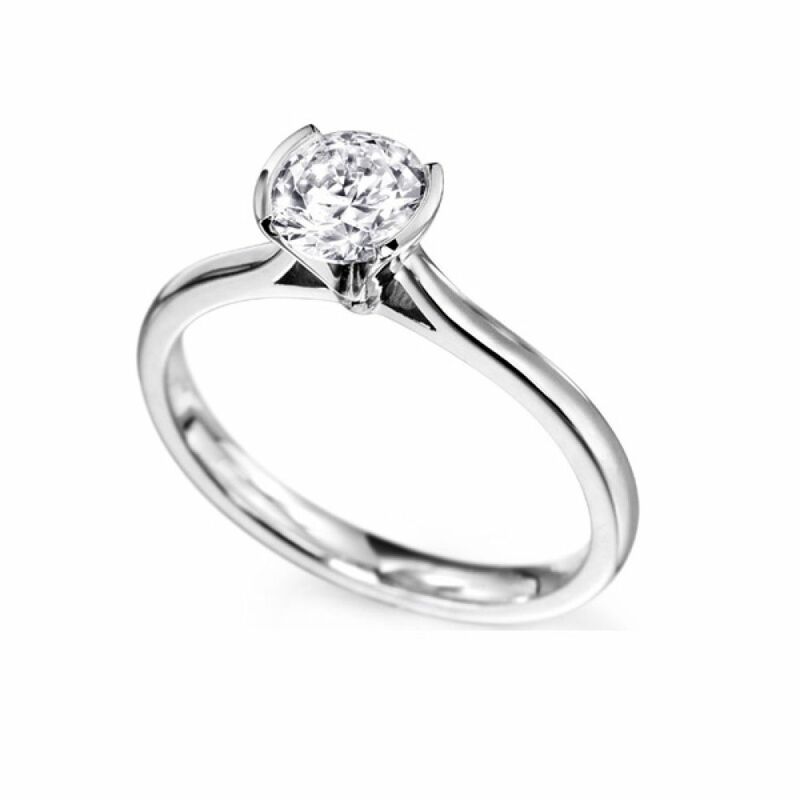 Use our handy diamond size tool to view diamond sizes on the finger. Choose your diamond shape, carat weight and skin tone to get a better idea of how different carat weights appear when set into an engagement ring. 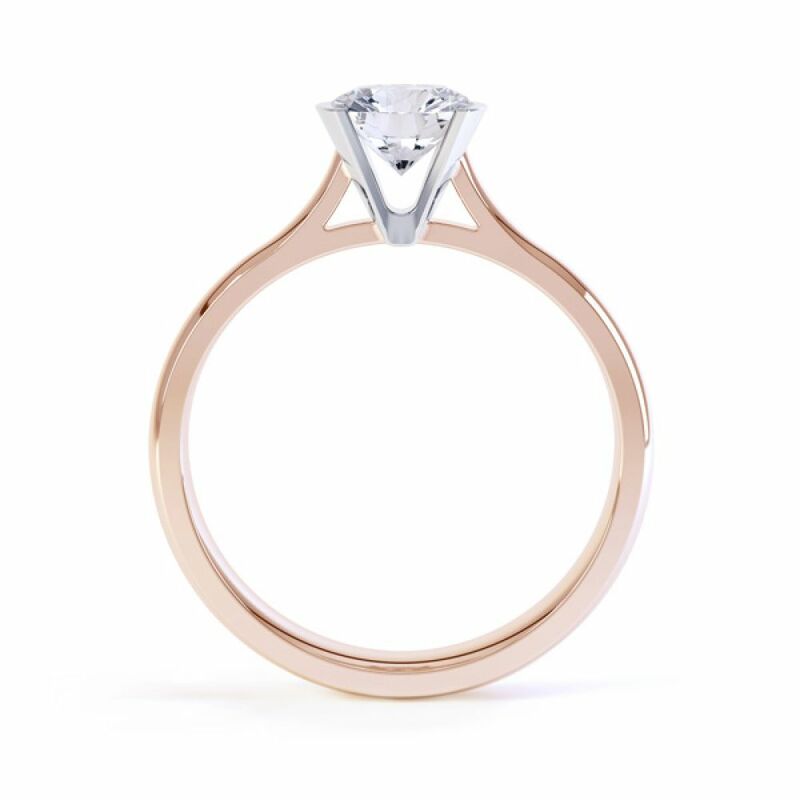 We have a wide variety of alternative diamond shapes available within our engagement ring collection. Showing the main box, with presentation box and pocket ring box, alongside the document section for engagement ring purchases. Relax when you purchase with the Serendipity Diamonds team. All of our US clients receive the same benefits as all other clients. With free shipping, 60 days returns, a lifetime warranty and free size adjustment where required, we make your purchase as easy as possible. Our website will also include all duty and taxes before payment meaning you can place your order, await the final commission and sign for it upon arrival. All deliveries are sent fully insured by FEDEX with your parcel's tracking number sent following despatch. Most deliveries take 1-2 days following completion. A note on diamond and gemstone proportions. At Serendipity Diamonds, we strive for the highest possible standard for all aspects of your purchase. Most of our diamonds are graded by the Gemological Institute of America (GIA) and possess a minimum cut grade of 'very good.' This ensures optimum brilliance owing to better proportions. We also specialize in ideal cut diamonds with excellent cut, polish and symmetry, provided by request and quoted for accordingly. We are also suppliers of CanadaMark diamonds, offering full traceability for any person who demands to know the origin of their diamond. Our natural coloured gemstones including pink sapphire, blue sapphire, emeralds and rubies are cut to the highest standards from conflict-free, trusted suppliers.